You are here: Home / Managed Moms / Weekly Pet Post: Finley’s Frustration! 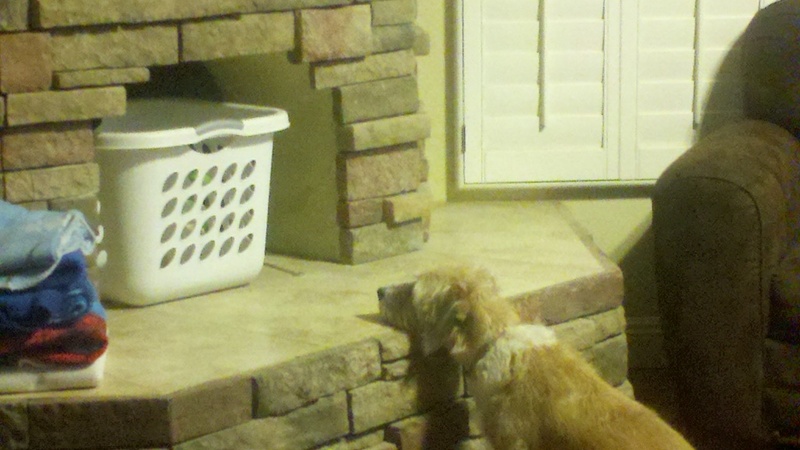 Weekly Pet Post: Finley’s Frustration! Manic: Most parents I know right now that are crazy busy with back-to-school homework help and busy extracurricular activities…and it is only going to get busier with the holidays approaching! Managed: Taking time to play with your pet! Not only is it good for your pet, but it is good for you humans, too. Pet interaction reduces our stress levels. Managedmoms.com reader, Melissa sent us this adorable picture of a frustrated Finley! Melissa says that Finley loves tennis balls, so guess what is in the laundry basket?! Finley has decided to be patient and wait out the return of his beloved tennis ball! So cute! His ball was returned to him, making Finley one happy dog! Have a happy weekend out there everyone! And don’t forget to send us your pet pictures. We have been getting some great ones, so stay tuned every weekend for more pretty pet pics and remember to take it easy when you can, like your pets do!